A week of visits! Mbale, Jinga, Simon Peter and Denis meet their relatives. http://www.hopuganda.org/wp-content/uploads/2016/11/bob-checking-pauls-clothes.jpg 661 886 admin http://www.hopuganda.org/wp-content/uploads/2015/07/hopuganda-logo.gif admin2016-11-13 16:20:352016-11-19 16:29:14A week of visits! Mbale, Jinga, Simon Peter and Denis meet their relatives. Moving into my new home, Sandy goes yet again! 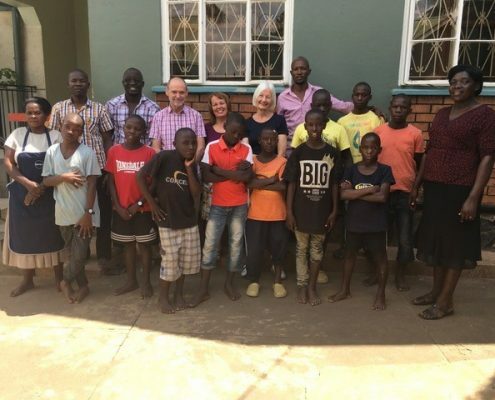 http://www.hopuganda.org/wp-content/uploads/2016/11/dr-trevor-and-carol-visit.jpg 480 640 admin http://www.hopuganda.org/wp-content/uploads/2015/07/hopuganda-logo.gif admin2016-11-06 15:36:082016-11-19 15:42:10Moving into my new home, Sandy goes yet again!